Get Your Car or Truck Transport From Seattle To Charlotte now! In Nationwide Auto Transportation we can ship your car or truck quick and easy and the most important for affordable cost, the reason we can offer the best rate is because we have a truck going between Seattle To Charlotte every other day and when you ship your car with other car you can save a lot of money your cost to drive the car will be higher than what you going to pay for us we also work on loading the car from Charlotte to Seattle Transport and by doing that are driver never drive back empty so you pay only for one way transport. Why You need to ship your car with NAT? All the car that going on are truck is fully insure on open trailer and Enclosed Carrier. We are 6 years in business moving over 120 cars a day. You like to put a small stuff that fit in the back of your car no problem just let us know and we can get this approve. The service we offer is state to state car shipping. We are a growing business thanks for the great reference of are customer and we would like you to grow are circle. We are all licensed, bonded and insured. Is my vehicle insured while in transit? Yes. The US Department of Transportation requires all auto transporters maintain a valid insurance policy. Nationwide Auto Transportation takes the additional step of requiring all carriers in their network to list them as additionally insured. This means that, in the unlikely event of an accident, if that agent is unable to cover the claim, Nationwide Auto Transportation is able to file the claim through their insurance company directly. Can I load my vehicle up with personal items? It is not recommended to place any personal items in your vehicle to be shipped. Not only are items not insured during transport, but the DOT regulates what can be transported. The DOT can fine a transporter $10,000 if found to be carrying household goods. Moving companies are the only companies licensed to transport household goods. No firearms, hazardous materials, or illegal contraband are allowed at any time. Which methods of payment are acceptable? 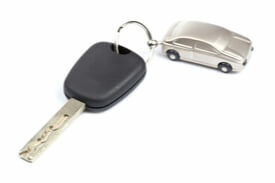 Nationwide Auto Transportation accepts all major credit cards or any type of certified funds prior to vehicle shipment. If you wish to pay upon delivery, a deposit is required and the balance must be paid in full to the driver in cash or certified funds. Do I have to be present for pickup and / or delivery? Yes. Either you or an authorized agent must be present to sign for the condition of your vehicle at both pickup and delivery. How far in advance should I plan my vehicle shipment? Placing your vehicle shipment order as far in advance as possible, will help ensure your vehicle is picked up and delivered within your requested time frame. You can shop around and call us back but we guaranty your best rate and customer service to ship your car from Seattle to Charlotte so call us now or fill the form to the right to get your free quote. Nationwide Auto Transportation can provide you with all of your shipping and transport needs including automobile, boat, motorcycles and freight shipping. 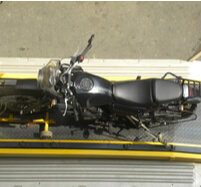 We are able to ship any size vehicle from anywhere to anywhere. We take great pride in being able to offer competitive pricing while providing world class customer care and service. Give us a call at 1-800-616-6516 today!